Sefrou is a fairly small town south of Fes, placed between the grand valley of Fes and the Middle Atlas. One approaches Sefrou from Fes through rolling groves of olives, mostly, the citadel-shaped mountain that stands guard over the town drawing closer and closer. The town itself sits in a little valley, with the rolling expanse of the Middle Atlas spreading behind; a stream drops down from the hills alongside, over a lovely little (and much locally celebrated) waterfall, and through the Old Medina (where it serves pretty much as a garbage chute, unfortunately). The entire time I was in Morocco this little river was full of water, and Sefrou and its surronding countryside was incredibly green. Walking around the edge of town I was always struck by how incongrous all the greenery- oaks and ivy even!- was in comparison to the usual image of North Africa as all desert and barren mountains: a far cry from reality. Nor is it all sunshine and heat, as this set of photos relates. 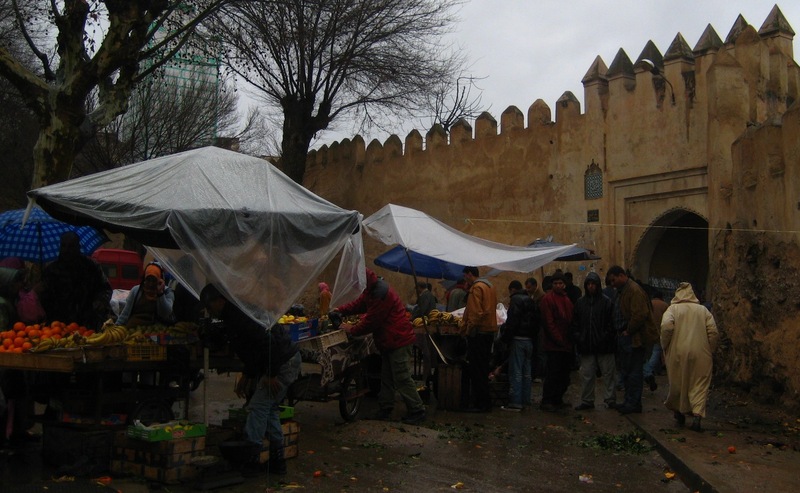 I took them on my first full day in Morocco- a wet, cold, and continually rainy day. I had spent the night in Fes after taking a plane to Tangier and then train to Fes; after checking in with the Arabic institute in the morning I trudged through the rain, down the street past Fes’ regal McDonalds, and confidently got in a grand-taxi bound for Sefrou. 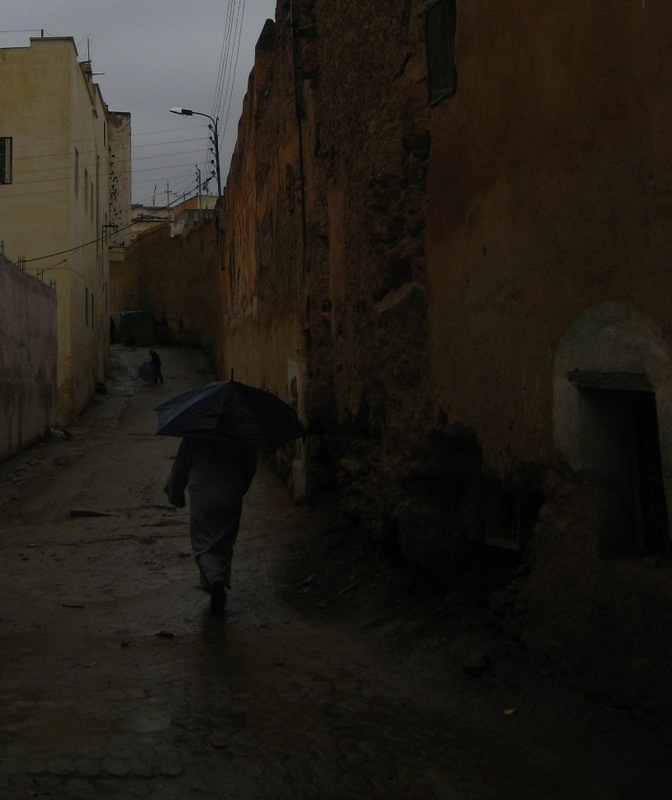 When I arrived, the rain that had harried me on my trek to the grand-taxi stand in Fes was still pouring down, so I sat in my little hotel room and looked out the window, wondering if had in fact ended up not in North Africa but perhaps England or Ireland. After a while I could stand no more sitting about, so I put on my raincoat and set out into the little medina, where I got lost (not for long- it’s hard to stay lost in Sefrou’s diminutive medina) and thoroughly drenched. In the meanwhile I took these photos, which are a bit drab, thanks to the rain, and work-a-day in their subject matter, I suppose. However, as I was looking back over this set today- inspired by the advent of cool, rainy weather here in Tennessee- I thought that they give a nice snapshot of ordinary medina life, and all the wonderful colours and shapes you can see, and perhaps a hint of the sounds and tastes and smells and feelings attendent to the seen things: the marvelously rich- moreso than any other urban place I’ve visited in the world- sensory experience of the Moroccan medina. 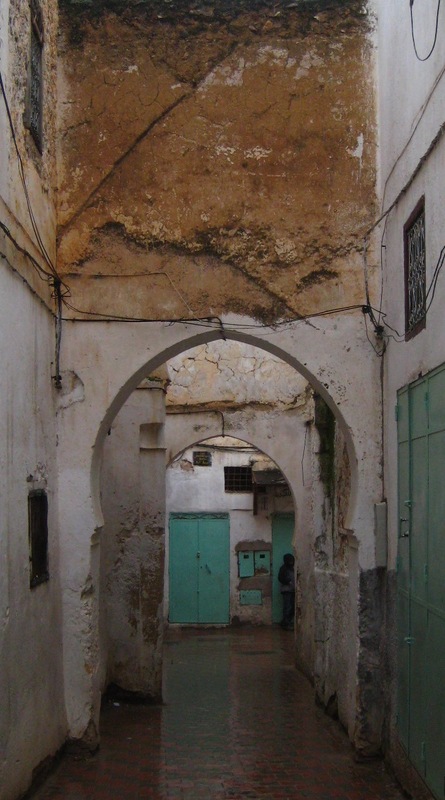 This is probably in the Mellah, the Jewish Quarter- Sefrou’s old Mellah takes up nearly half the Medina, though only a handful, if any Jews, now live there. The robes some of the men in the photos have on are jellabas, the traditional, and quite functional, Moroccan outerwear. 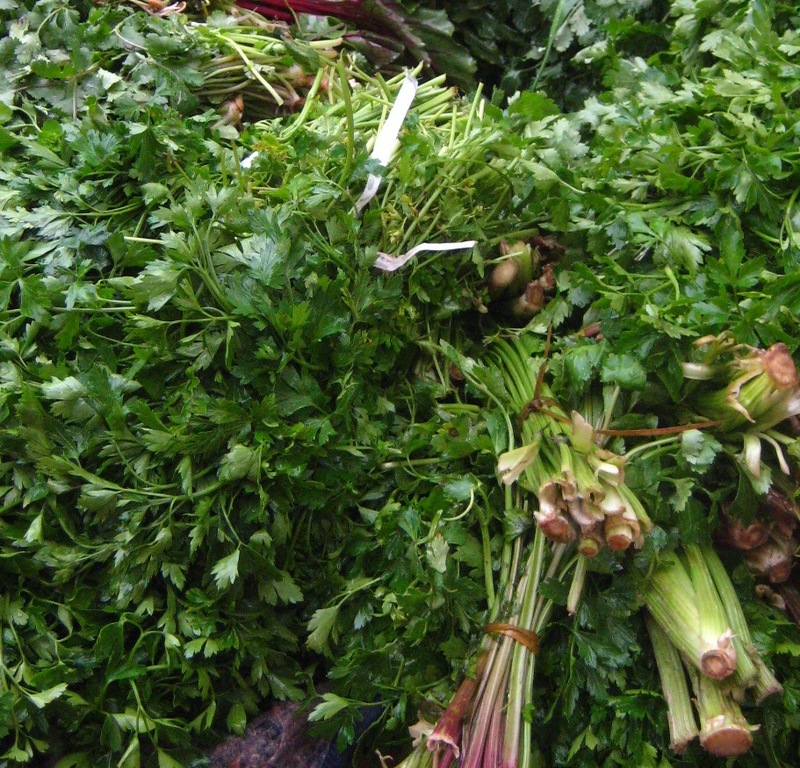 In the always wonderful and aromatic (particularly compared to the meat sellers stalls…) vegetable and herb section of the suqs. Along the outside of the walls, on the north side of the Medina. In the evening, in one of the ridiculously narrow streets of the Mellah part of the Medina. It was rather cold by now, and I did not, alas, possess.